What We Can Learn from REI Leading a “Lone Nut” Movement | UC Berkeley Student Affairs Community Blog! Some of you may have heard that the company REI has decided to take a stand on Black Friday by encouraging their employees to take the day off, enjoy the outdoors with loved ones, and completely shut down all of their stores (including any website orders). The majority of retail companies have continued to push the boundaries of consumerism by offering large discounts on items, and increasing the hours and workload of their employees in order to drive the overall profit of the company. For REI, they have become the Lone Nut. It takes one individual (or in this case, a company) to stand up first and encourage others to join the movement. 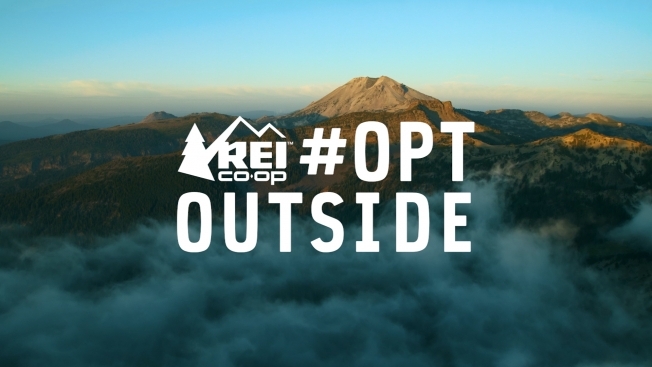 Not only has REI exemplified some of their company values such as Authenticity, Integrity, and Balance by taking a stance for their staff to have a paid day off and closing their business on the most profitable day of the year, REI has started a movement by encouraging a social media campaign called #optoutside. There is an entire website and platform dedicated to challenge the status quo of shopping on Black Friday by everyone to get outdoors and promote the idea of living a healthier lifestyle. How does REI shutting down on Black Friday relate to GO BIG? Both rest on the idea that it’s not about doing more, it’s about doing different. We have the opportunity to make individual choices. We can choose to get outside on Black Friday, just as we can choose how we show up and treat one another in the workplace. Our values help guide our actions. As REI President and CEO Jerry Stritzke states, “It’s an act where we’re really making a very clear statement about a set of values.” Likewise, building a great workplace through pride, trust, and community will enable Student Affairs at UC Berkeley to be the employer of choice by 2025. Join OUR movement at #SAGoBig on Facebook, Instragram or Twitter. We want to know your stories and pictures of how you’re making this an even greater place to work!